With over a dozen years of auto glass Carson experience, our customers have come to rely on our professional expertise in getting their auto glass repaired. Not only can we help our clients avoid potentially costly full glass repairs, but we service just about every make and model of vehicle driven in this country. Pretty much any year, any vehicle, we've got you totally covered from A to Z with our comprehensive auto glass services. Our reps are fluent in both English and Spanish and we provide our customers with free mobile on-site service. What does this mean? It means that we come to you completely free of charge, saving you a ton of time and a boat load of cash. Save your gas and let us come to your location. Be it your house, apartment, business or your employer's workplace – we are remote and can be anywhere you are. 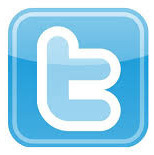 It does not matter if you live in Carson or Long Beach, we come to your desired location throughout the local area. Cityline Mobile Auto Glass is open 7 days a week for your convenience to help you with emergent auto glass repair needs and make arrangements to repair your vehicle at a time convenient with your work or family commitments - unlike some of our competing companies; also, our customer service representatives are located here in Carson California. We use reps who are local, and savvy in the numerous questions that you are likely to have when trying to arrange auto glass repair services for the first time. Our representatives can arrange your mobile and service appointment even the same day. In the event your repair job requires glass cleanup, our customer service representatives are trained to ensure you get a free clean up to include glass residue after hiring us for your glass repair needs. We ensure that our customers can fully be at ease when calling us to repair the glass on their automobile or truck, we ensure that all of our technicians are fully trained, certified, and insured to work on your vehicle. Only professionals will be handling your car glass repair needs, unlike some of these fly-by-night auto glass companies. Be very careful when hiring one of these other companies. Living in Carson California, you can see all ranges of potential road hazards. From trucks flying at 90 MPH in a 45 MPH zone, to city construction taking place every which exist, our roads are filled with potential road problems. Unfortunately, this commonly results in many consumers finding themselves with cracked windshields requiring a full auto glass repair in order to ensure the safety of the occupants of their vehicle. The windshield replacement team that you are calling is here for you 7 days a week. At Cityline Mobile Auto Glass we comprehend the anxiety that can arise when faced with dealing with unplanned windshield or other auto glass replacement demands, and make full use of our ten plus years of experience to help put your mind at ease. Our windshield technicians are available to service your vehicle both at our shop or they can come to your home or place of work to help replace the broken glass in your automobile. Cityline Mobile Auto Glass ensures that we man our call representative's work the seven days a week and are knowledgeable individuals who can both answer questions or schedule auto glass replacement at your convenience. We've been the premier auto glass company in Carson CA for the past 13 years. Other auto glass companies utilize our service and outsource their work to us. We know what we're doing and our work is evidence of this. We perform everything with precision and accuracy. 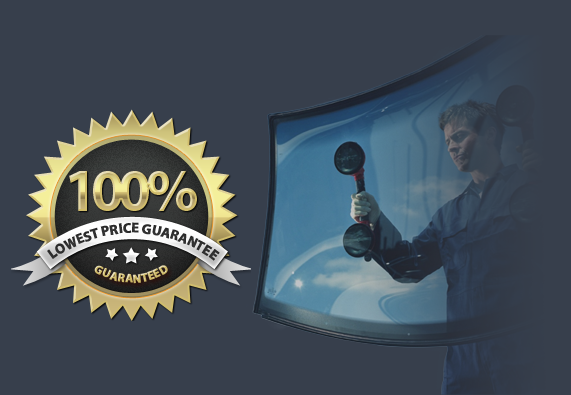 We perform windshield replacement and all of our work comes with 100% lifetime free warranty. On top of that, we also do windshield repair and auto tinting services at a time and place that is convenient for your daily schedule. Our company has also found that many of our customers demand a higher quality of service when arranging a mobile service team to conduct repairs at their residence or place of business. To respond to this demand, we make sure that all of our technicians are not only tested for drugs prior to being hired, but that we also run thorough background checks on all employees to better ensure client safety. If you have lived in the Carson and Long Beach areas of Southern California for any length of time, then you know that we enjoy some of the best weather that there is to be had in the United States. Not only do we enjoy more than nine months of sunshine in the average year, but when it does rain, it is typically not as long in duration as the storms the rest of the country sees throughout the year. Unfortunately, one of the big drawbacks to this nice weather is the big impact that the sun has on the interior of your automobile. If you do not take any action, you will quickly see the interior of the automobile start to fade at a much quicker rate than it should. Additionally, any plastic components on the auto's dash or side doors can start to both fade and crack. An easy solution to these and other problems associated with the sun's harmful ultraviolet rays is to seek out a quality window tinting service in the local area. If you find yourself in this situation, then you should look no further than Cityline Mobile Auto Glass to help take care of your car tinting needs. Our company has been in business for more than 13 years and counting now, and our service technicians know how to take care of your auto glass. 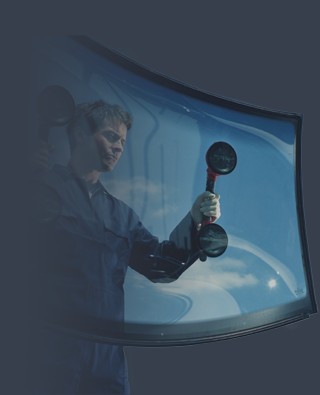 We only employ the most highly trained and certified technicians to help ensure that the job is done right the first time when it comes to your window tinting needs. The mobile tinting teams at Cityline Mobile Auto Glass are experts at our craft. We know how to get the job done in an efficient but accurate manner so that you will never have to worry about your auto tint having streaks appear or otherwise looking like it was a "do-it-yourself" job. We provide a lifetime warranty on all work accomplished by our mobile tinting teams, and you will be amazed at the quality of our technician's work. If you have any questions regarding our mobile tinting services, just give our staff a call. We will be more than happy to answer any questions that you might have. Our company policy is to always provide you with a free quote on our tinting and auto glass services, and we look forward to helping take care of your automobile today. Cityline Mobile Auto Glass provides excellent auto glass repair services in Carson California, Gardena, Lomita and surround areas. We have free mobile service anywhere in Carson CA. We are Carson Auto Glass – Carson Auto Glass Repair – Auto Glass Repair Carson CA – Auto Glass Carson – Auto Glass Gardena. We perform excellent Windshield Repair Carson – Windshield Replacement Carson. 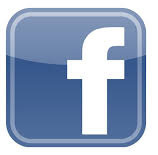 Our company also does Window Tinting Carson – Auto Window Tinting Carson – Car Tint Carson - Carson Window Tinting. Call us today for a free estimate on your mobile auto glass. We are known for excellent Auto Glass Repair Gardena – Windshield Repair Gardena – Auto Glass Replacement Gardena – Window Tinting Gardena – Car Tinting Gardena - Auto Window Tinting Gardena. Call us today for you Auto Glass Carson CA. Our company is the best Auto Glass - Windshield Repair - Auto Glass Repair - Window Tinting - Car Glass - Windshield Replacement. We are your local Auto Glass Lomita - Auto Glass Repair Lomita - Auto Glass Replacement Lomita. We are a fully mobile Windshield Repair Lomita - Windshield Replacement Lomita - Auto Glass Lomita CA. We come to you completely free of charge so call us today at (310) 935-1576 for fast, over the phone estimates.